For a while in my life I wondered if flossing was really necessary. When I found out it is very necessary, I wondered, which type should I use? Waxed floss, or un-waxed floss? Well, the waxed definitely feels better, and usually has a nice smell/flavor. The un-waxed has no scent/flavor, and is harder to floss with. It becomes stringy a lot easier, and is hard to get between my teeth. Well, I asked my dental hygienist and she said definitely use un-waxed. See, the waxed isn’t doing its job. With waxed you’re not able to get all the grime off your teeth. Un-waxed is harder to get between my teeth, but that’s exactly why its better! Its scraping the tooth, not “Glide”-ing. Now let’s talk about the necessity of flossing. Did you know that each tooth/tooth socket in your mouth is directly associated with an organ in your body! Yep! So, technically, if you keep your teeth as clean as they can be, so will your organs (along with a clean and healthy diet, of course!). 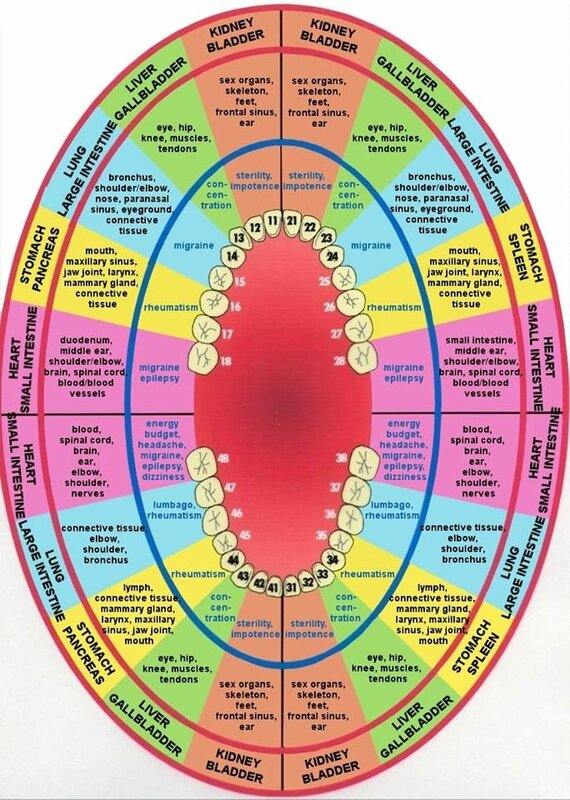 To the left you see a chart of all your teeth, and the organs/body parts they correspond with. You’ll be surprised by looking at this chart. Flossing helps you live a longer life, so, if you haven’t already, add it to your nightly routine. You’ll benefit, and once you start, you don’t want to stop! I love the feeling of smooth teeth because they have no plaque on them!